If you’re in need of a new, more efficient heat source in your home, you’re probably looking at several options to determine which is best-suited to your needs and expectations. Typically, people want something that is good quality, effective, and keeps the bills down. While there are several ways to heat your home, in this post we focus on the pros and cons of both the furnace and the boiler, the two most common options. We also include tips on how to choose the best system for your home space. The fundamental difference between a furnace and a boiler is the method of heat conduction. A furnace uses air, plus a blower fan, plus the ducts in your home to get heat everywhere it needs to go. A boiler uses water that is heated and/or vaporized into steam and a network of pipes to send heat where it needs to go. Boilers can be called water boilers, steam boilers, or hydronic (water-based) heat systems. The Energy Star label on any furnace or boiler means the unit has been certified as energy-efficient. However, there are still differences in efficiency between a furnace and a boiler. The annual fuel utilization efficiency (AFUE) certification label that is displayed on the unit will tell you how energy-efficient it is. Essentially, this label indicates how much fuel is being used as heat and how much is escaping (such as through poorly sealed windows or ducts). A higher AFUE label means more of the fuel is being converted into and used as energy. Generally speaking, any furnace or boiler housed indoors will always out-perform their outdoor counterparts in terms of energy efficiency. Both furnaces and boilers are still common heating choices in homes today. As a side benefit, today's sleek and modern boilers no longer clank and gurgle when they are in use the way their predecessors often did. Here are some points to consider if you are trying to decide whether to install a furnace or a boiler to heat your home. Due to the air blowing heat through the ducts, you will have more drafts and dust (making a furnace a less ideal choice if your family suffers from allergies or asthma). Installation tends to be cheaper for a furnace system because you can use the existing air conditioning ductwork to transfer the hot air. A furnace is able to provide even heating from room to room (to the extent existing ductwork allows). A furnace can run on electricity, gas, oil, or propane fuel. A boiler produces no drafts or dust since the heat is transferred using pipes (making a boiler an excellent choice for those who have allergies or asthma). Installation of a new boiler system will be a bit pricier in most cases because of the need for a network of pipes. Some types of boilers may not be able to evenly heat every room. A boiler can run on electricity, gas, oil, or propane fuel. Because a furnace and a boiler transmit heat in different ways, the maintenance needs for each type of unit are also necessarily different. Here is an outline of the basic ongoing maintenance required by each unit type (note: maintenance may vary depending on whether the boiler uses water, steam, or fuel). Basic unit cleaning and maintenance. Change the filter regularly (at least once a month during winter). Clean and maintain the house ductwork. Routinely check the ignition or pilot light switch. Ensure the thermostat is working properly. Annual service and maintenance is typically needed. Clean and maintain the network of water pipes. Vent the radiator by opening the valves. Drain the boiler (this removes deposits). 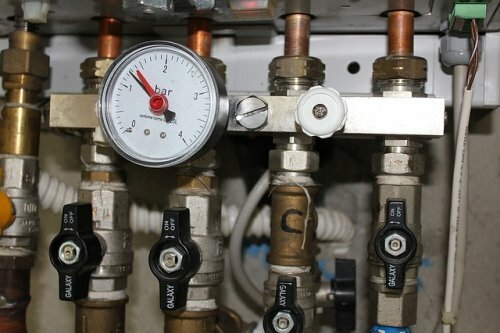 Annual service and maintenance is typically needed (excluding cast iron boiler systems). If you are in the market for a new boiler, it is unlikely that you will need to replace the entire system. Unless your radiator or your pipe network has sprung a leak and it can't be repaired, you can usually replace just the boiler unit and pump. In the same way, if you need to replace your furnace, it is rare that you would need to replace the entire network of ducts or the air conditioning (although there is a case to be made for replacing the air conditioning and the furnace at the same time). Rather, you can typically just replace the furnace unit itself. There is no doubt that choosing the right heating system for your home, whether as a new unit or a replacement, can be overwhelming. Here is where the help of experts can really come in handy! At Shipton's Heating & Cooling, we have nearly a century of heating and cooling experience working in and around the Hamilton area. We invite you to contact us at www.shiptons.ca.